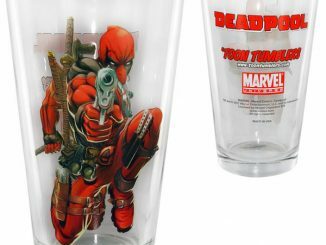 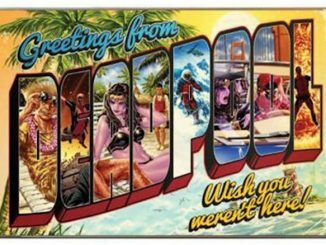 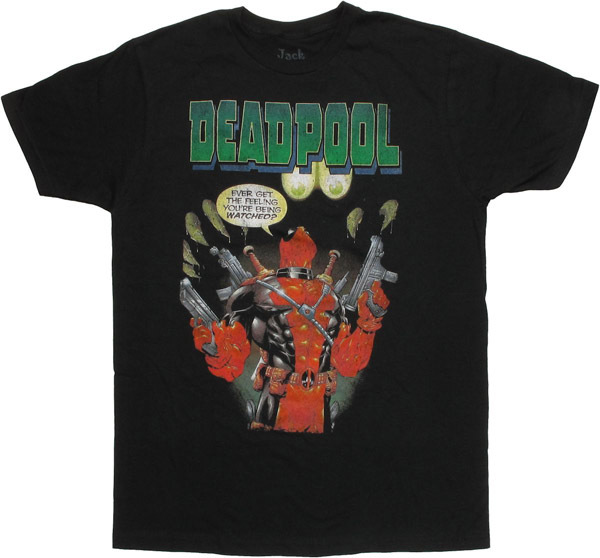 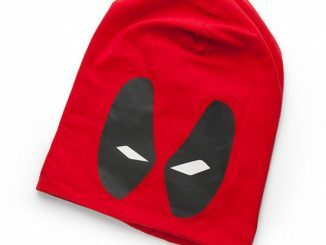 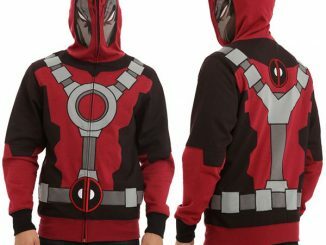 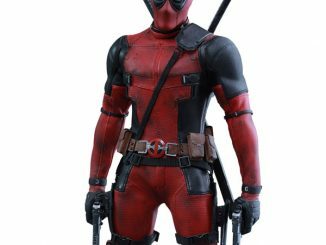 The merc with a mouth’s feelings are right on target on the Deadpool Feeling Watched T-Shirt, and fans of the popular Marvel character can enjoy wearing this scene that is obviously a prelude to fun times ahead for the anti-hero. 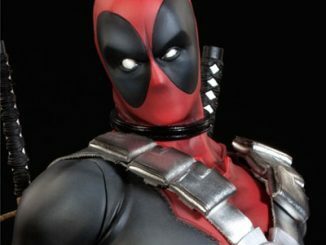 Deadpool has weapons at the ready, and he’s going to need every one of them since his feelings about being watched are about to be proven correct as a mostly hidden beast stares down at him from the shadows, claws reaching out for a tasty treat. 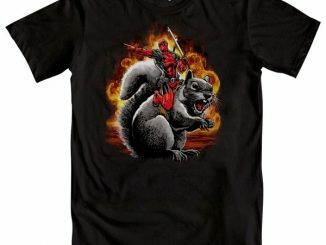 I wonder if the beastie realized Deadpool really isn’t all that tasty. 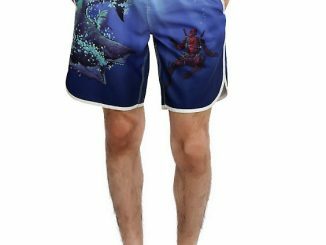 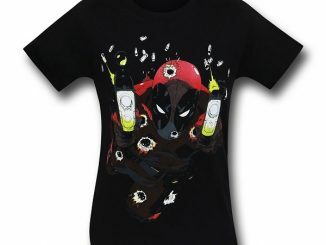 The distressed image is printed on a black, 100% cotton t-shirt and is available in sizes SM to XL. 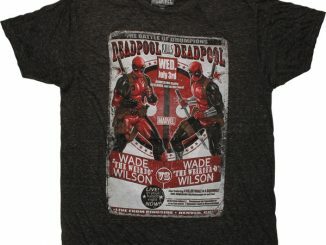 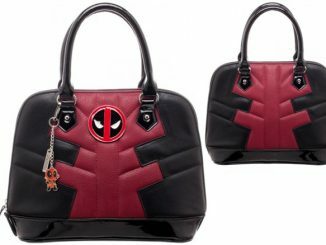 You can get the Deadpool Feeling Watched T-Shirt for $24.88 at StylinOnline.com.